Pay per click is one of the most effective forms of online advertising for several reasons. Small businesses can get traffic for rates that are cheaper than other advertising channels, sustain their campaigns on a monthly basis, and get targeted traffic within minutes. However, building and managing campaigns requires a lot of time and resources. Google Adwords management is a multifaceted process. A business owner would have to do everything from researching new keywords, testing new ads, optimizing their campaigns, formatting lists, adjusting click costs, and maintaining their campaigns. There are also constant changes in the advertising policies, interface, and features. It requires a big commitment to work on all these different aspects of pay per click advertising. 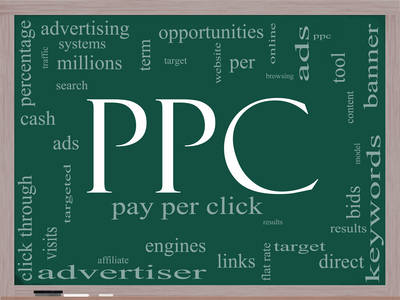 A smart way to handle pay per click campaigns is to outsource it to PPC management specialists. Savvy small business owners are focusing on growing their business and working on their core competencies rather than trying do everything themselves. Not only does this conserve time and resources, PPC experts can help them get the most out of their paid search campaigns. Small Business SEO Success has helped many business owners succeed with their PPC campaigns. We are a full service company that can help you get traffic from the three biggest search engines, namely Google, Bing, and Yahoo. We’ll take the responsibility off your hands so that you can focus on what you do best. Improvement in Quality Score – Your quality score is a reflection of how much you’re going to pay for your ads and where your ad will be placed in the listings. We’ll help improve your quality score so that you pay per click for your ads and receive more traffic from your ad placements. This process will also attract more targeted prospects and buyers. Click Fraud Prevention – A big issue that many pay per click advertisers face is click fraud, especially in competitive markets. We’ll make sure that this doesn’t become an issue with your campaign. We’ll keep an eye out for irregular traffic sources and unnatural spikes in traffic. If we detect signs of fraud, we’ll pause your campaign and try to resolve the issue with Google, Bing or Yahoo. Discover New Opportunities – We’ll help you grow your campaigns by continuing to look for new opportunities. We’ll help you uncover valuable keywords that you were missing out on, pinpoint the best ways to reach your audience and help you expand your reach. Scaling a campaign is one of the biggest challenges of PPC advertising and we’re up to the task. Cut Costs and Improve Profits – Obviously, you’ll want to make sure your budget is spent efficiently. We’ll help you find ways to get more traffic at lower rates while also maximizing your profits by increasing your conversions. We’ll do this by making your landing page more effective, using techniques like day parting, and improving your click-through rate for your ads. Campaign Management – Pay per click is always changing and that’s why you need to keep a close eye on your account. We’ll ensure that all your successful campaigns stay active, your ad positions are secure and your campaigns continue to be profitable. We’ll keep a watch out for competitors trying to outbid or hurt your campaigns. Small Business SEO Success understands how challenging pay per click management can be for business owners. We have experience working with all kinds of businesses and in all kinds of markets, niches and industries. We can manage your account, improve your campaigns and increase your PPC profits. So if you need help, contact Small Business SEO Success today. One of our experts will help you make sense of your challenges, explain what we do and show you how we can help. Start now by requesting a quote or by emailing us at info@smallbusinessolutions.com or by calling us at (201) 983-9411.